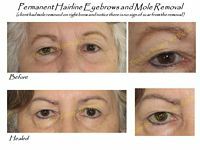 Please click on the Left and Right Arrows or the Buttons above to scroll through a few recent samples from our Portfolio. 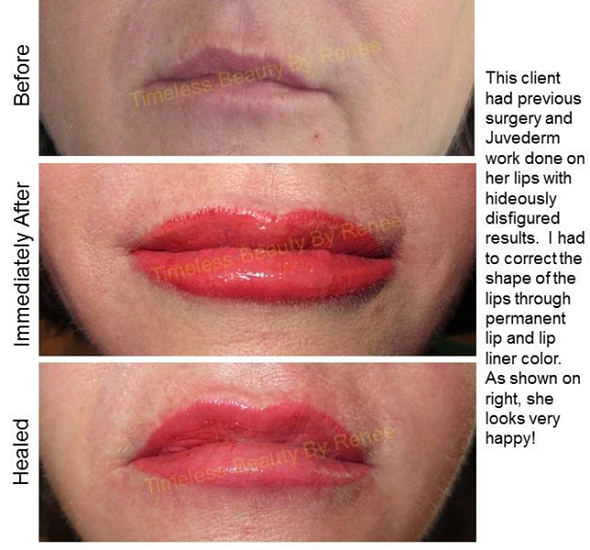 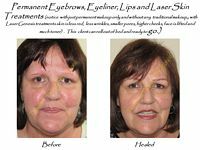 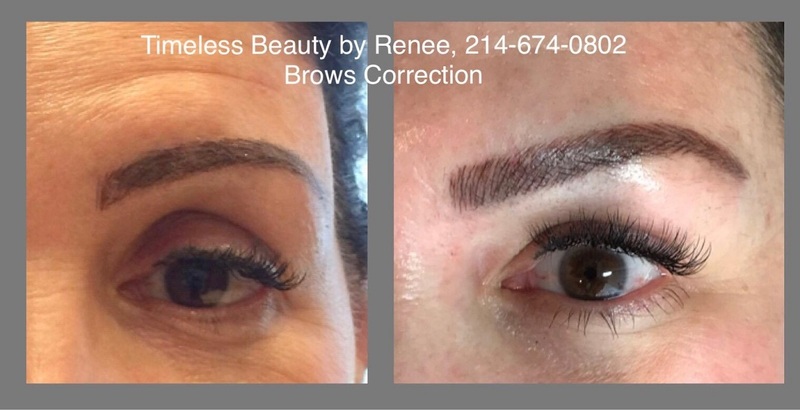 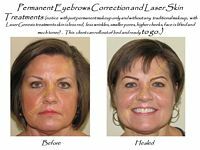 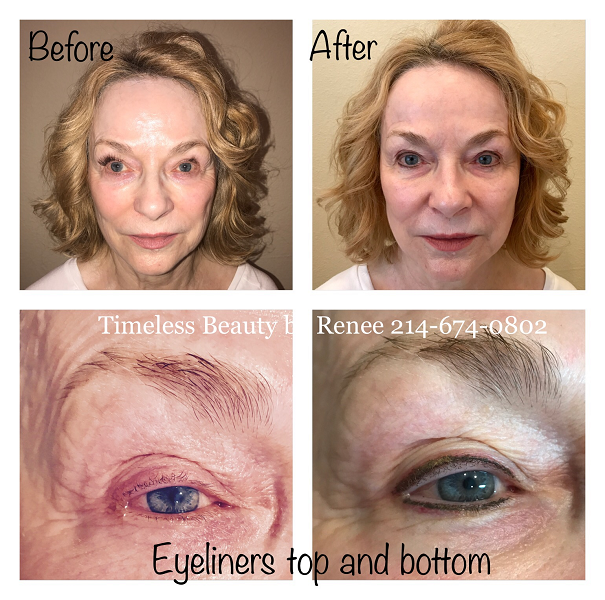 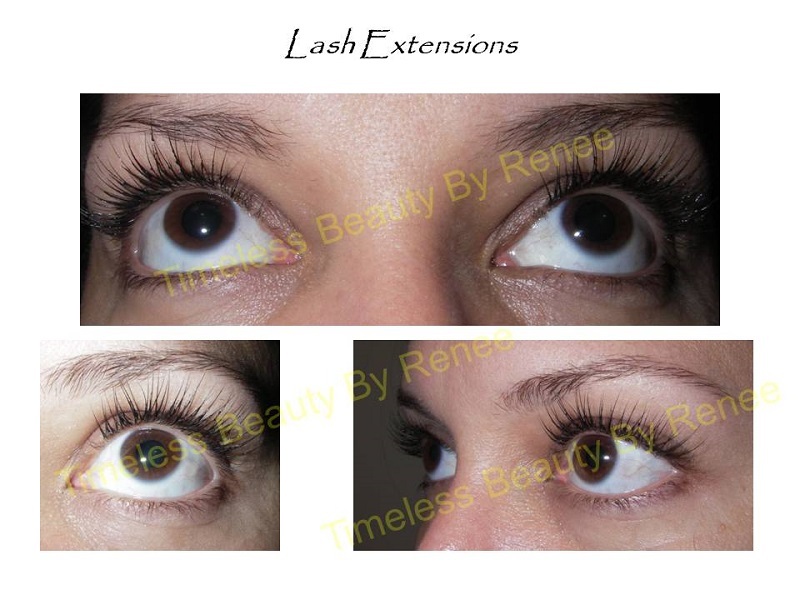 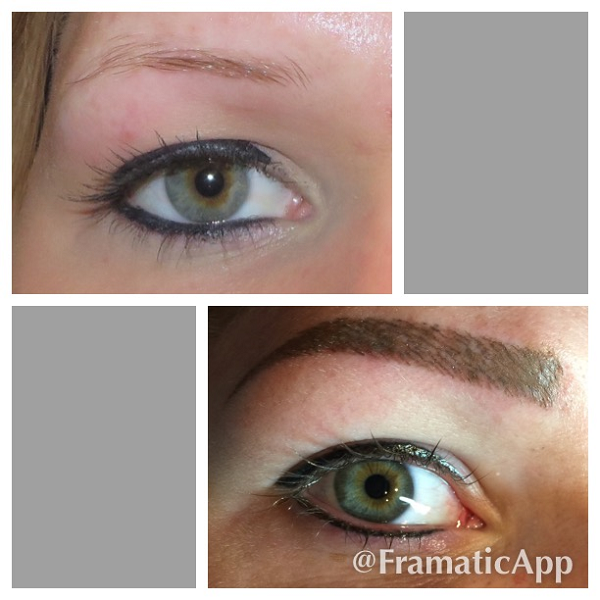 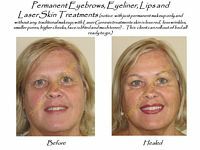 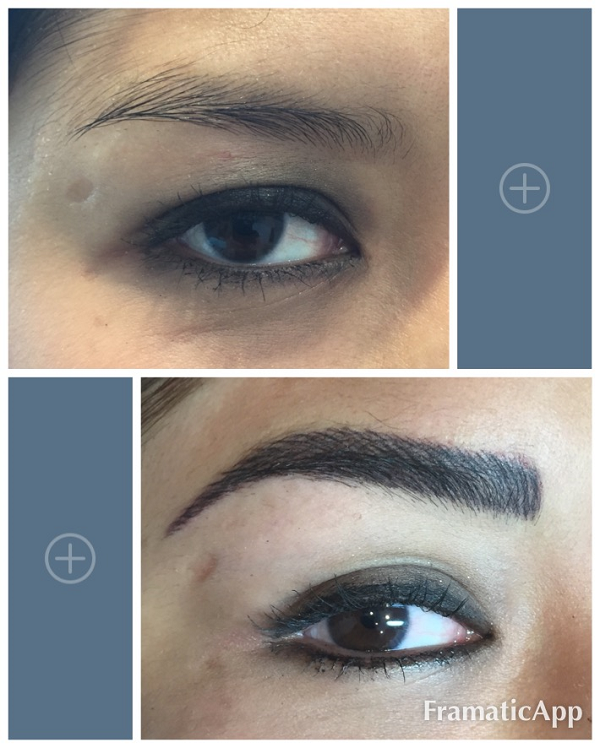 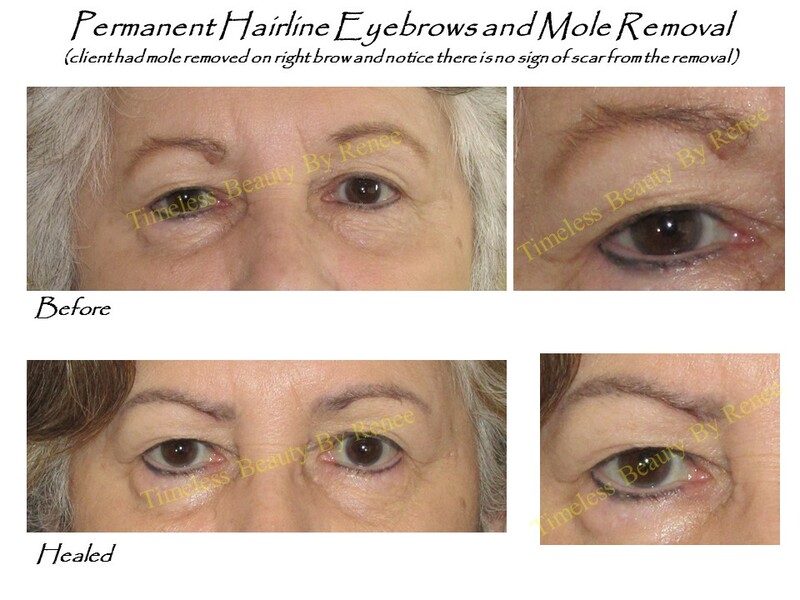 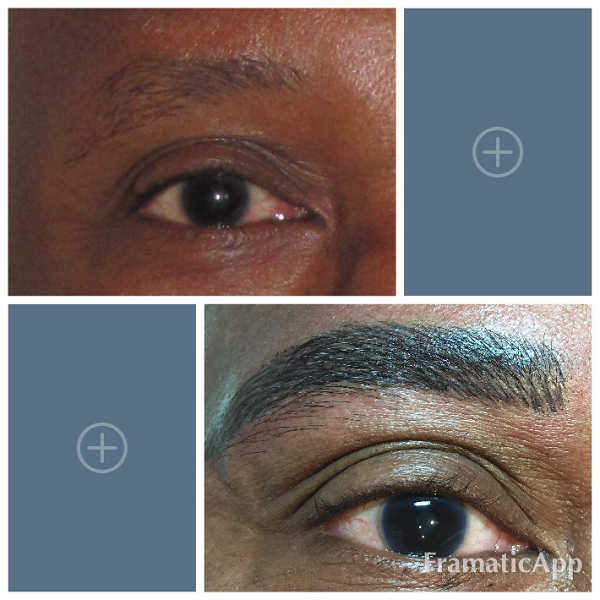 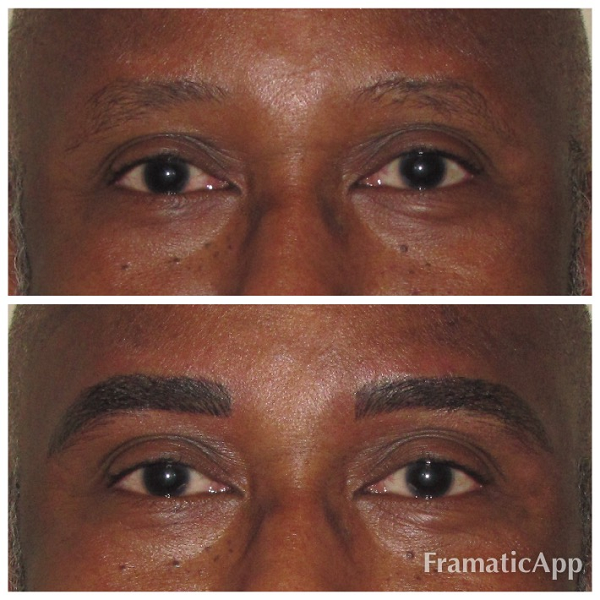 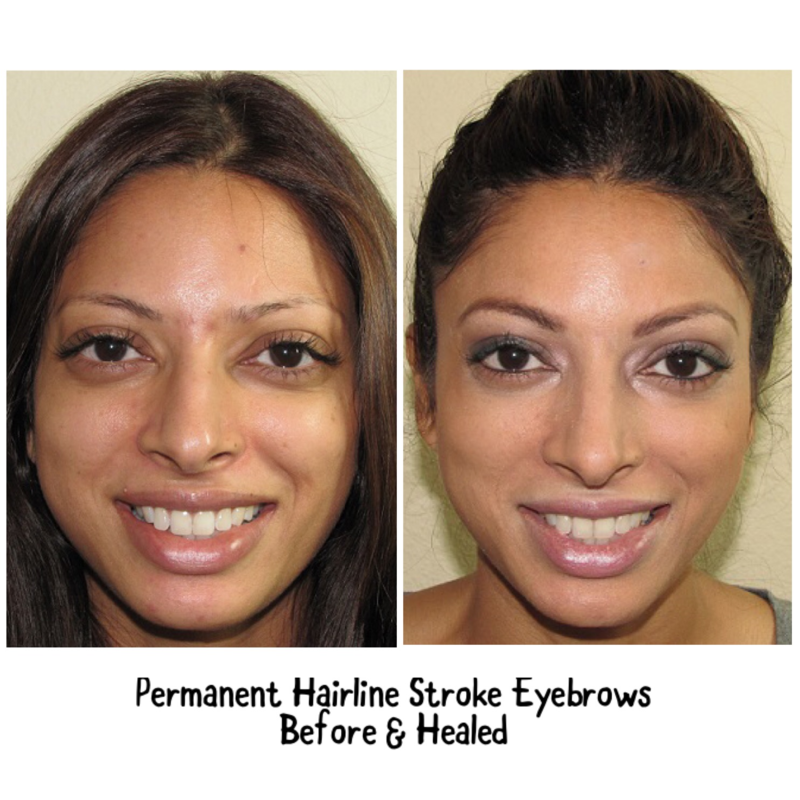 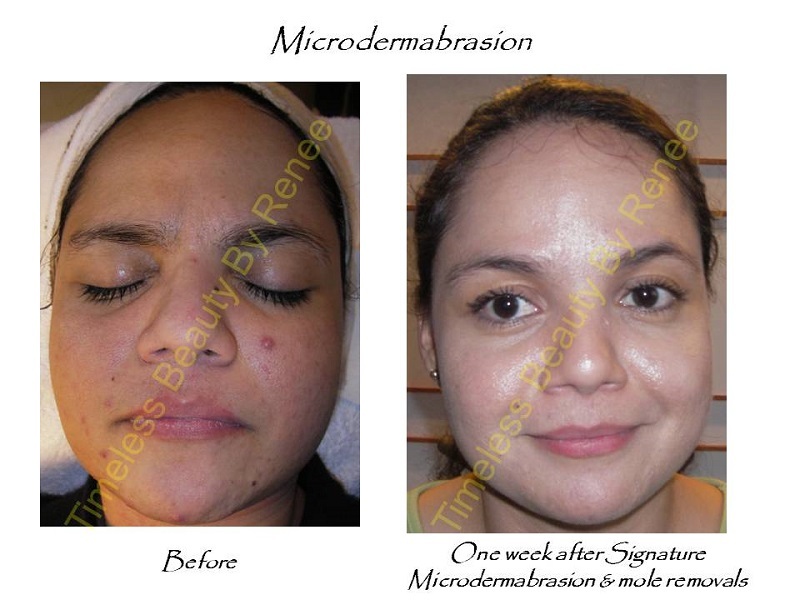 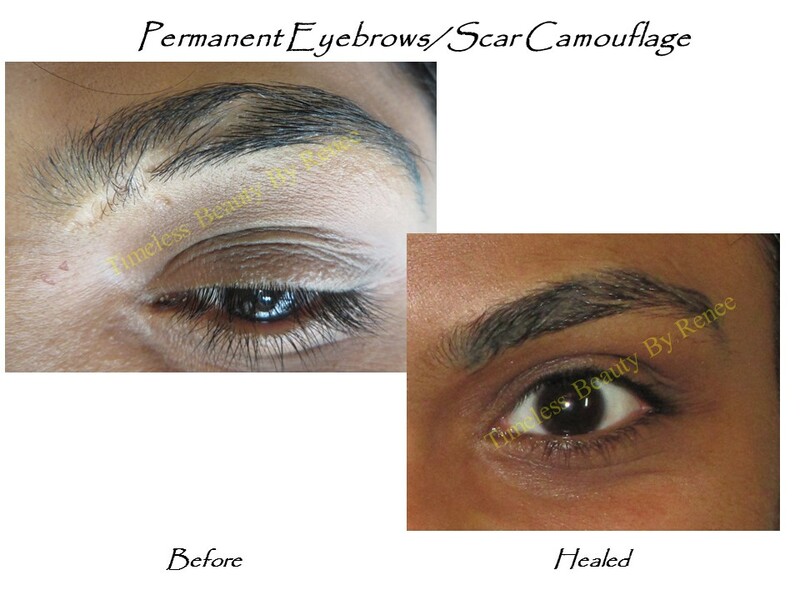 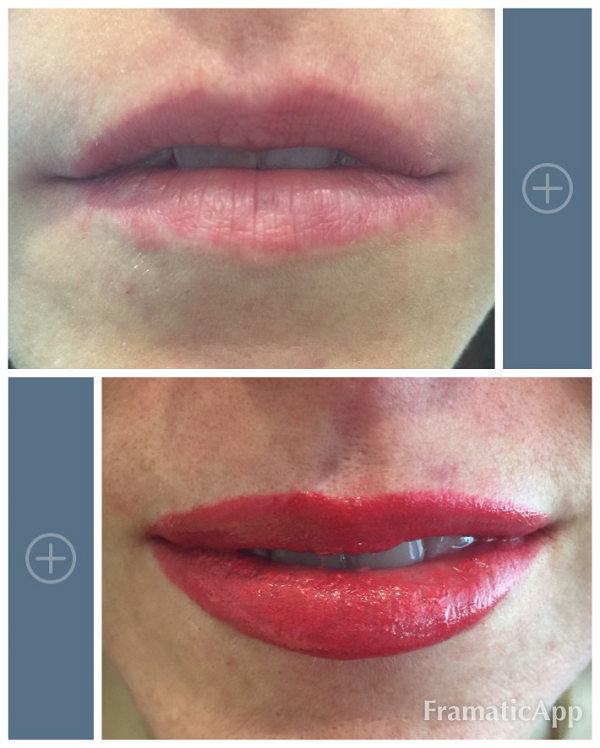 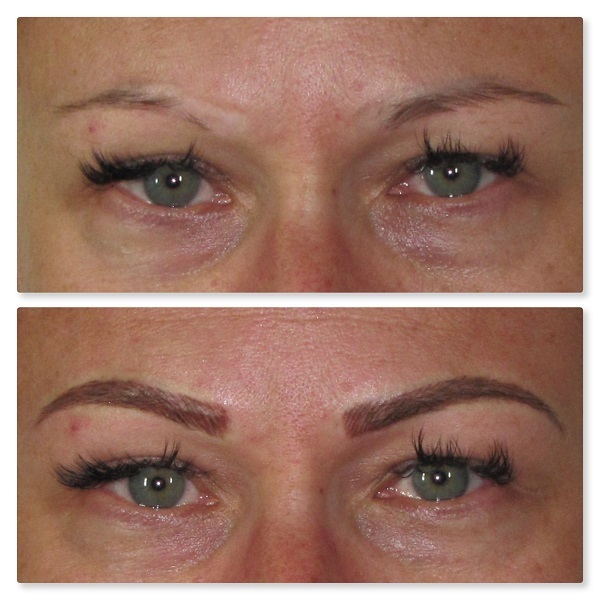 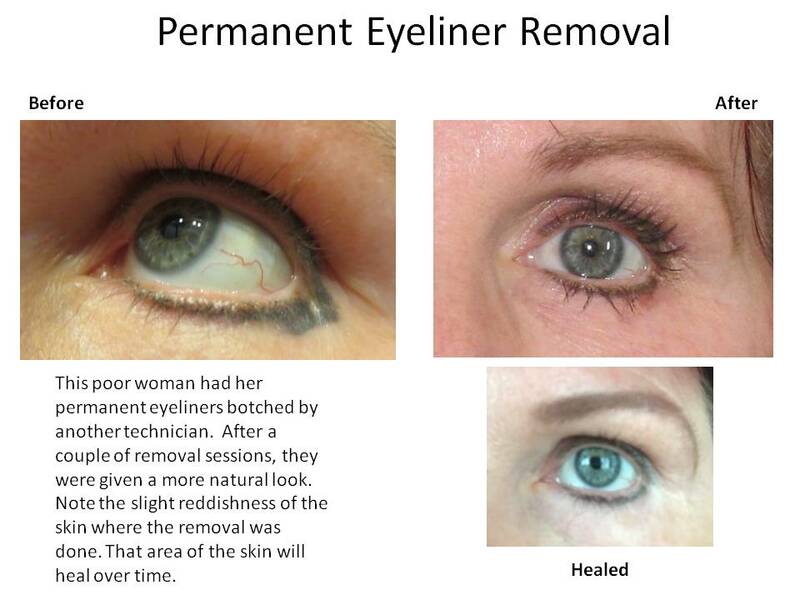 Permanent makeup, whether it be permanent eyebrows, eyeliners, or lips, is very much an expression for each individual. 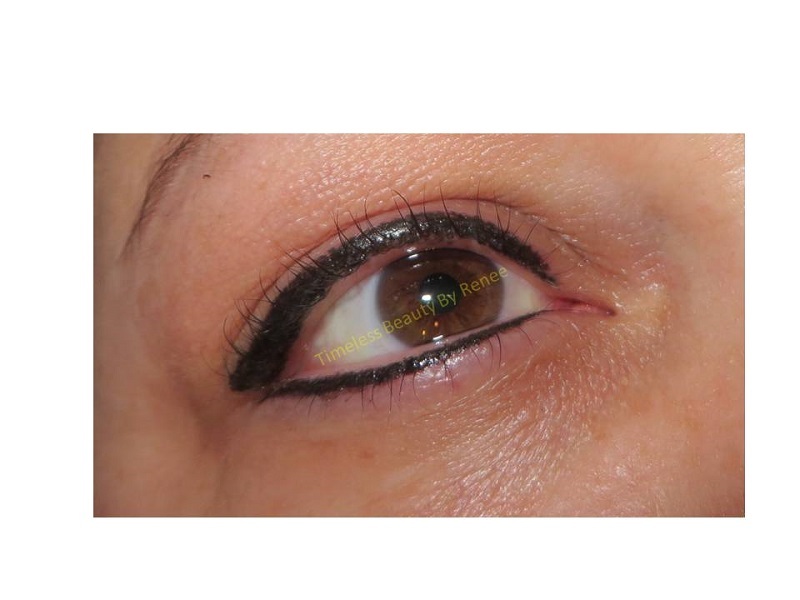 Therefore, each client has their own particular taste in how they want their makeup done. 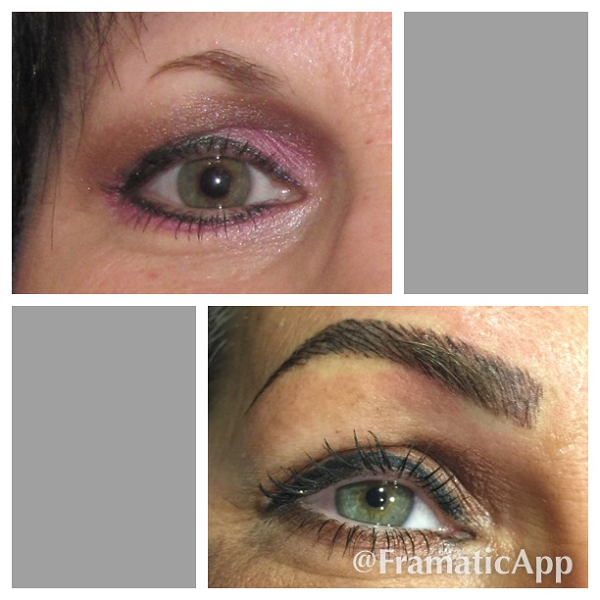 What may seem thick to some, others may feel it is too thin. 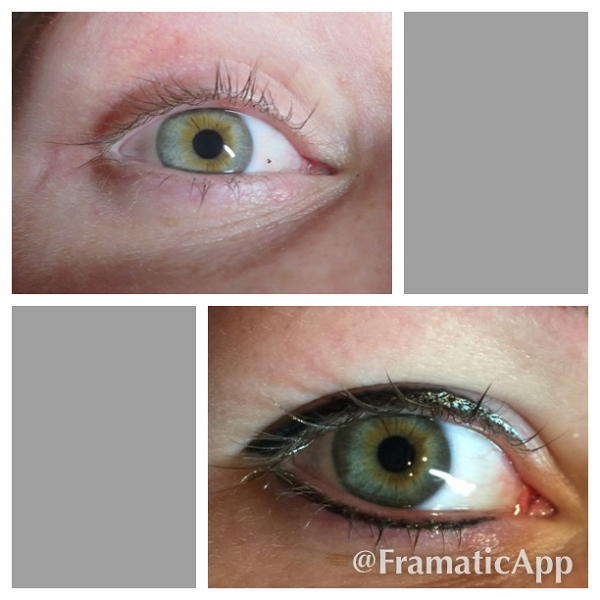 What may seem dark to some, others may feel it is too light. 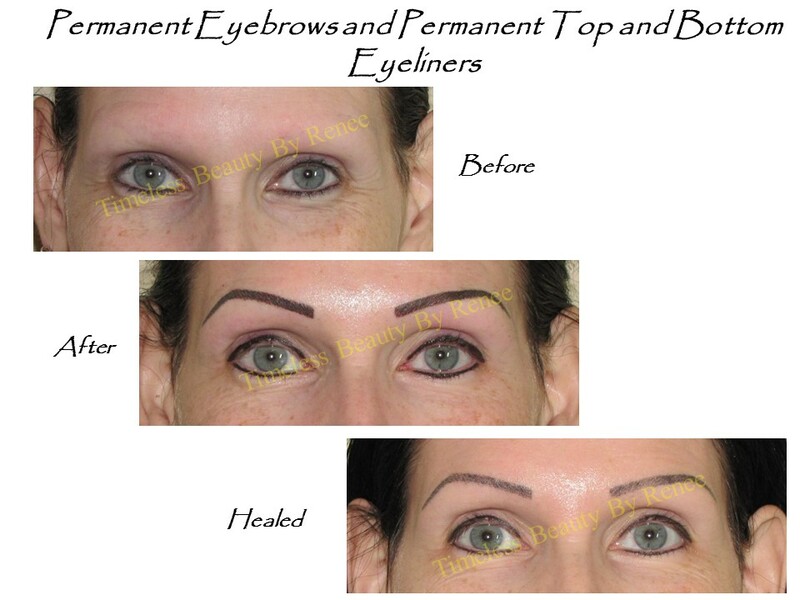 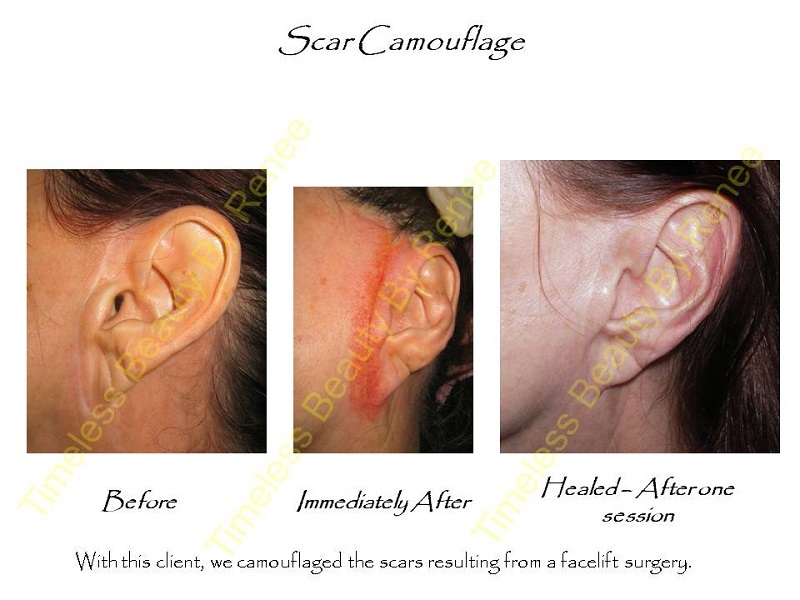 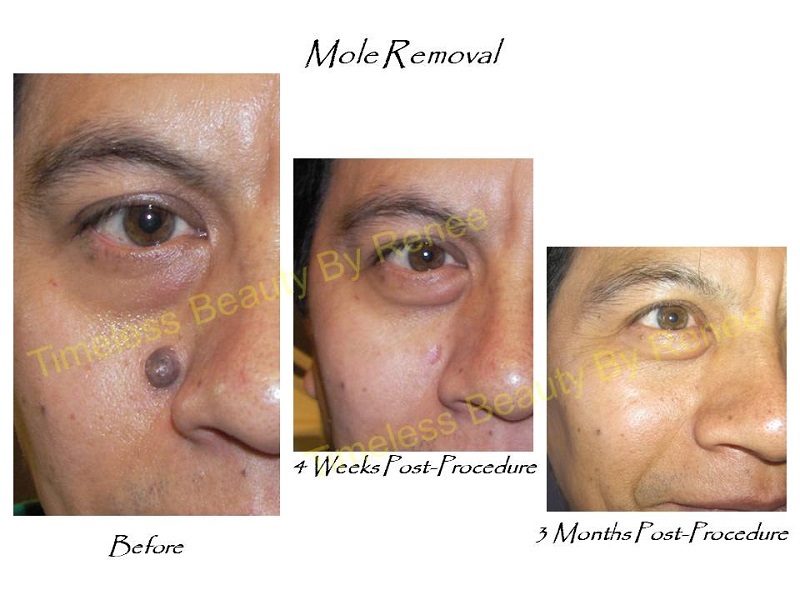 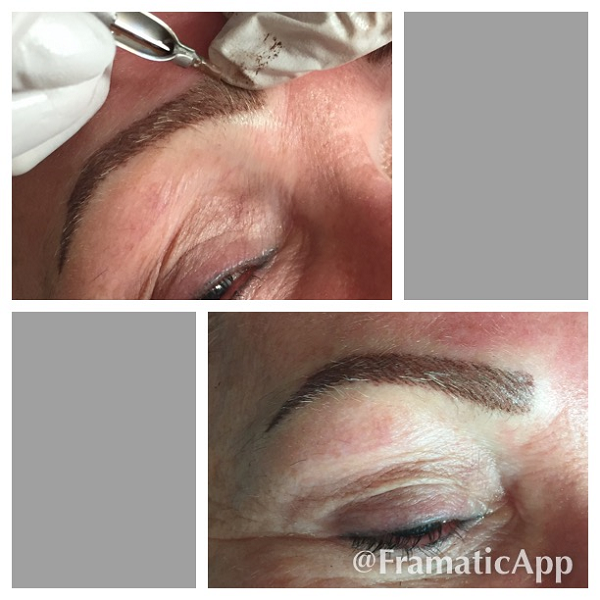 The shape of the permanent makeup also falls under the individual taste for each person. 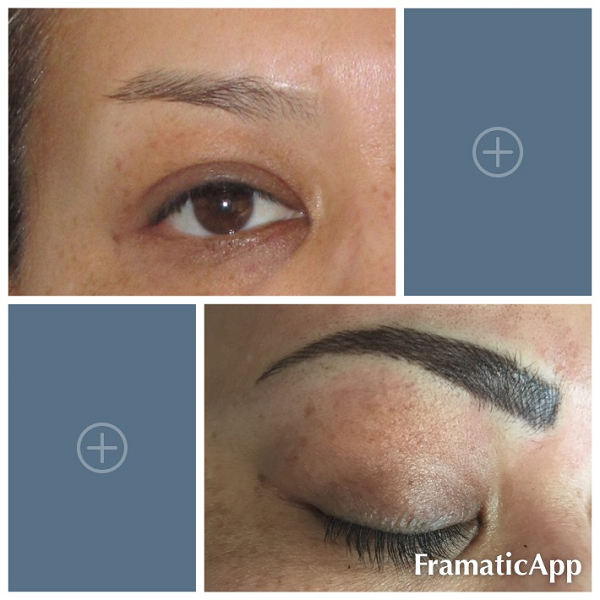 All these variables are why I spend more time sitting down with the client and going over the design with them than I do actually applying the permanent makeup. 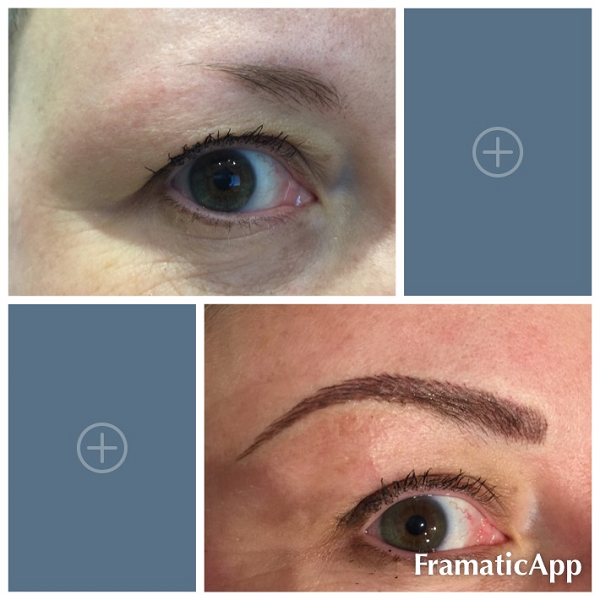 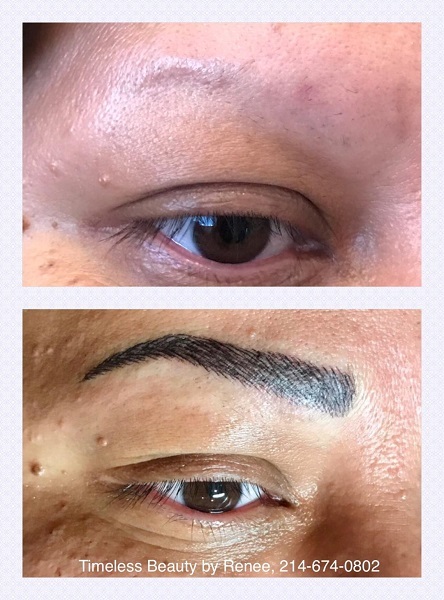 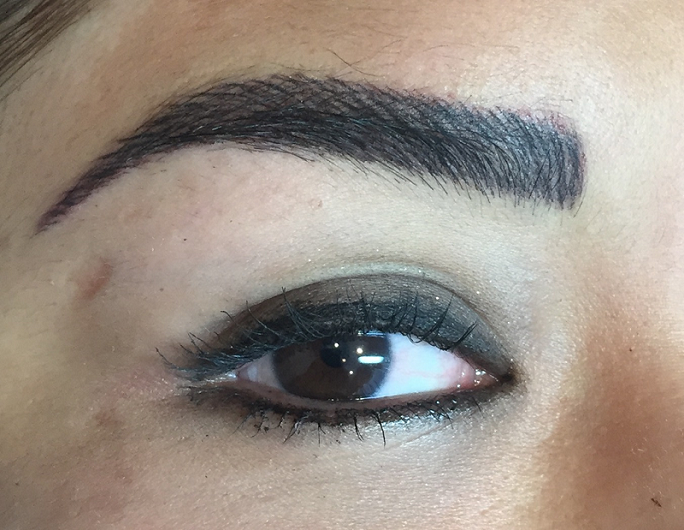 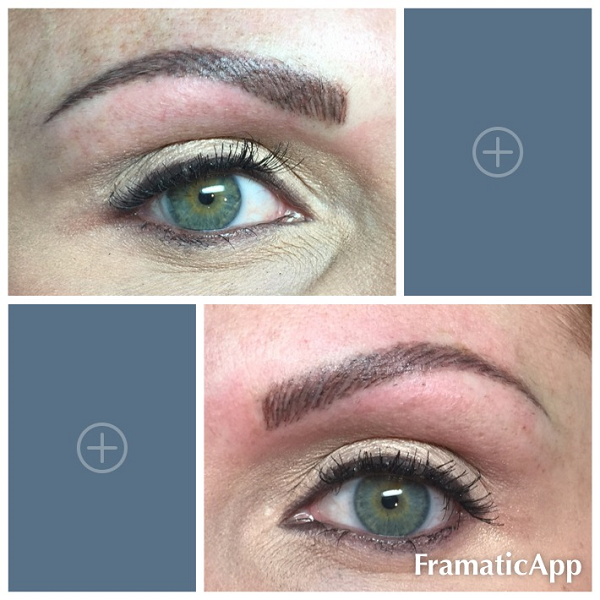 Everything is designed and drawn on the client, and the client must approve of the design before the actual permanent makeup is applied. 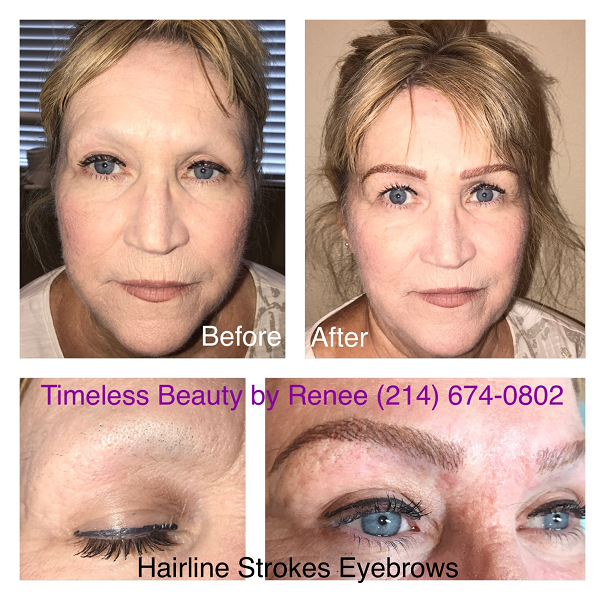 In the following portfolio, you will see some samples of my work that display a great variety of styles as requested by my clients. 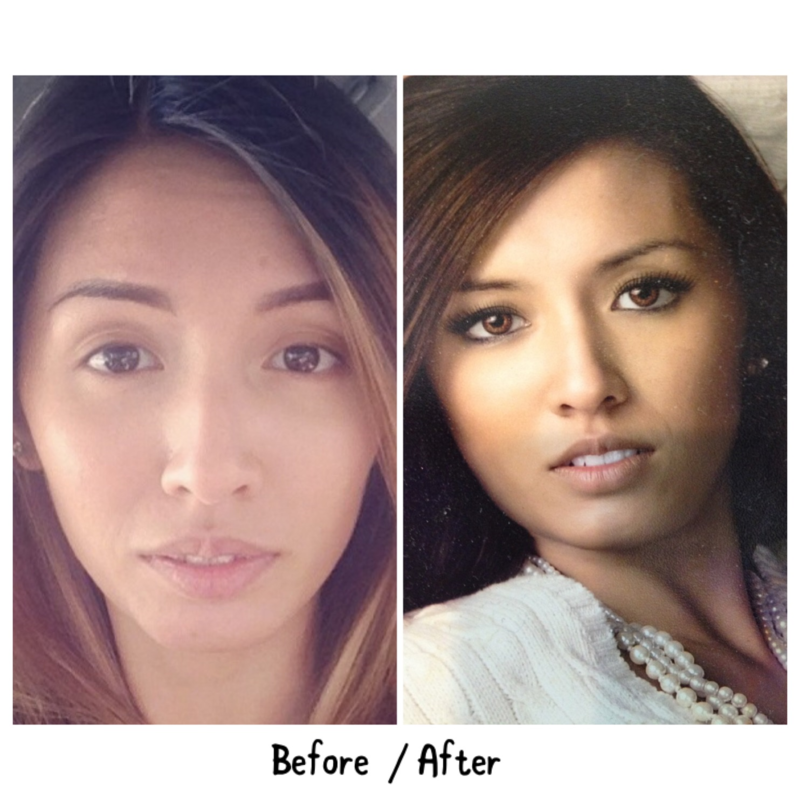 Because of my portrait painting background, I can give you any look or style that you desire. 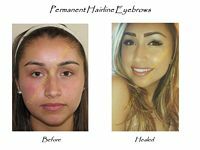 It has been brought to our attention several times that our portfolio and sample work has been plagiarized on other websites. 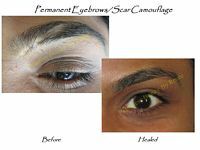 Please understand that all work you see here on our website is done by Renee Cao only. 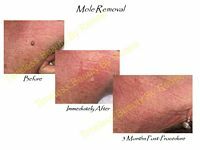 If you see any of our work on other websites, please understand that it is not their work and report it to us. 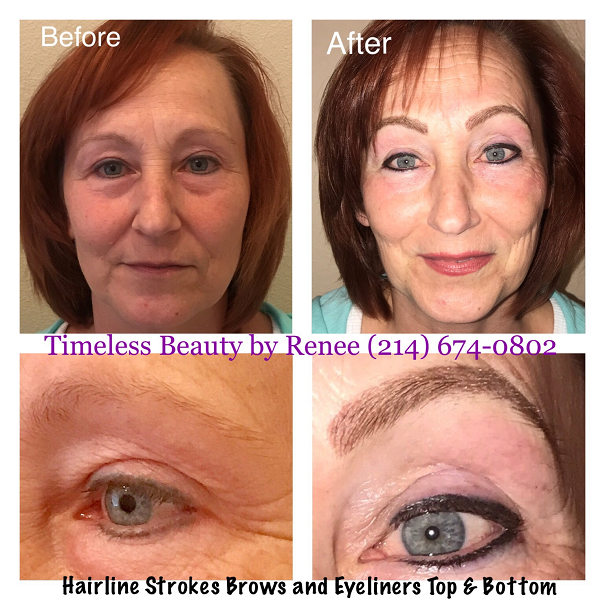 Please click on the thumbnail picture to view the full size photo, then click the Back Arrow on your Internet Browser to return to the portfolio.